One half of acclaimed electronic pop duo, Collarbones, Marcus Whale has spent years plumbing the depths of synthesised noise for the most impactful note. 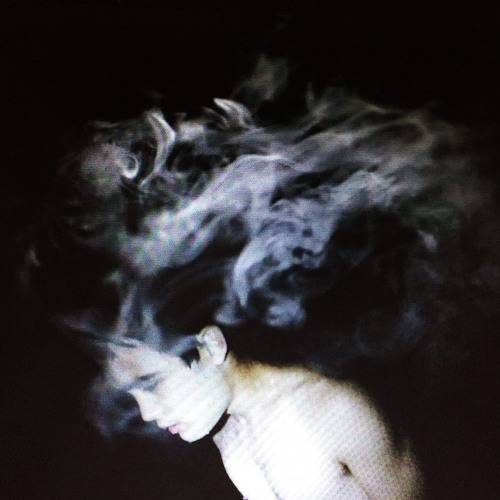 In late 2015, Marcus announced that he would be turning his efforts to a solo project, offering up the hauntingly beautiful turned sparsely rhythmic track, ‘If (demo)’. Coinciding with the song’s release, Marcus dropped the news that he would be coming forth with a full-length album, Inland Sea. We haven’t heard much else in regards to the album aside from the news that the record will feature co-production from Nigel Lee-Yang (HTRK) and appearances by Bree Van Reyk and Rainbow Chan. Marcus has recently offered up a second single from Inland Sea called ‘My Captain’, a highly conceptual track that draws influence from the legend of Captain Moonlite and James Nesbitt, two criminals and lovers from colonial-era Victoria. In this re-telling, Marcus emphasises the queer aspect of the legend, melding the act of loving another man and the notion of sacrifice into a transformative experience. Rebellion and rebirth play as equal forces, exerting themselves on the song and the artist himself. Press material quotes Marcus as saying that in ‘My Captain’ he sings about “being transformed”, and that he wants his own “queerness to reject the heteronormative forces that govern us”. In this sense, the persecuted lovers metaphorically represent members of queer communities that are still harassed by an unfair system of governance and antiquated social norms. The song itself is an immediately impactful and resonant slice of beauty and anarchy – the striking percussive notes and dire-sounding bass throbs are reigned in by Marcus’ crystal clear vocals, evoking the tortured nature of the story’s protagonists and imbuing them with humanity amid their strife. The beats are expertly crafted (as one would expect from such an acclaimed dabbler in danceable noise), though the entire song seizes me, leaves me immobile and captive through the sheer force of the noise and the desire to heed the words that ride the sound like flotsam amid crashing breakers. I’d go out on a limb and say that Inland Sea holds the potential to be a landmark album in terms of electronic production and art that provokes constructive thought on queer culture. The term ‘inland sea’ offers mental images of isolation, a separation from an ocean of belonging. One would hope that an album advocating resistance against queer isolation helps topple the dam keeping inland seas separate. Expect Inland Sea sometime around June.